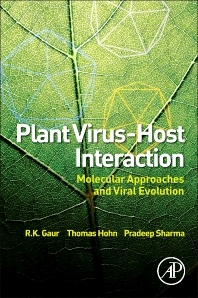 Plant Virus-Host Interaction contains cutting-edge research in plant molecular virology, including pathogenic viroids and transport by insect vectors, interference with transmission to control viruses, and synergism, with pivotal coverage of RNA silencing and the counter-defensive strategies used by viruses to overcome the silencing response in plants. With a clear focus on plant virus evolution, including quantitative and population genetics, Plant Virus-Host Interaction provides insights on the major factors favoring disease emergence, such as genetic change in pathogen and host populations and changes in host ecology and environment. The book also examines socioeconomic implications of widespread plant viral agents. Contributions from leading experts around the globe provide varied perspectives, while comprehensive coverage ensures a complete look at this exciting field. Chapter 9. Papaya ringspot virus-P: overcoming limitations of resistance breeding in Carica papaya L.
How do plants defend themselves against the evolutionary potential of invading viruses? Department of Science, Mody Institute of Technology & Science, Rajasthan, India. Dr. Sharma’s research focuses on Agriculture Biotechnology, specifically on the characterization of genes for stresses, bioinformatics & RNAi for wheat improvement, and molecular genetic variability of Pathogens, Gene silencing.